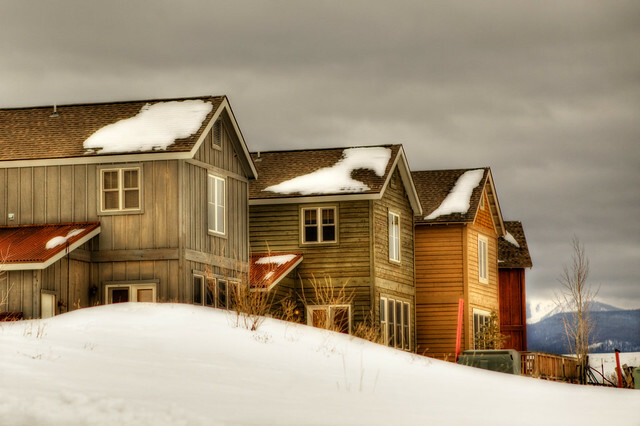 While out sledding in Granby the other day, I decided to take a quick click of some of the cabins since I liked how they were sitting all in a row. At that moment, I wished I had my tripod out so I could do a proper HDR photo, but after downloading the photos and looking at what I had, I decided to try the pseudo-HDR ability in Photomatix by using only the one image. Honestly, it turned out decently in Photomatix, but turned out even more decently once I pulled it into PhotoTools and did some more adjustments. Granted, this isn't the true definition of HDR (hence why it's called pseudo-HDR), but sometimes it actually comes out nicely.